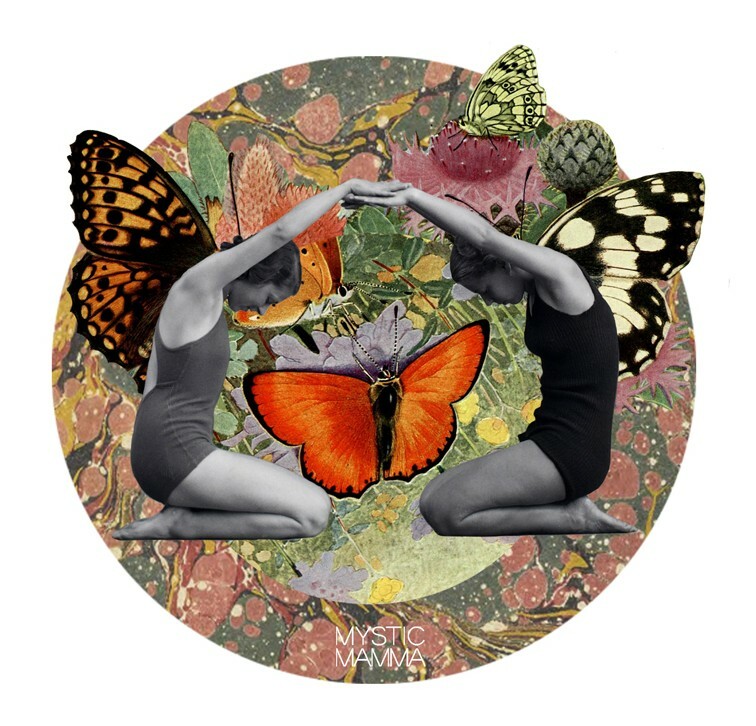 *NEW MOON* SuperMOON in GEMINI brings us the lesson of self reflection through the myriad mirrors of external forms. She teaches us to trust our internal channels of communication and guidance more than any external sources of information. GEMINI says honor your knowing, learn from your mirrored reflections and create new pathways by thinking new thoughts arising from within. “On a new supermoon both the Sun and Moon are conjunct Priapus, the place of rampant desire and impotence, bringing us face to face with craving and yearning, lust and longing. We covet what we lack and envy can be rife. “At this new moon we are consumed by a lack of influence over the world around us and the course of our own lives. “We may feel compelled to act and yet powerless to bring about the changes we desire. “Until, that is, we bring ourselves into alignment with the deeper current of sacred becoming in our life, adopting its rhythm as our own. “This process may necessitate relinquishing a long cherished dream as we recognize the unconscious forces within that have mischievously propelled it to the fore. “What we thought was a desire to do good is revealed as simply a need for recognition. “What we believed should be our destiny becomes the biggest distraction from all we could become. “What we assumed was the truth of our lives is exposed as a confusing lie that we, ourselves, have perpetuated. “We can see all this at a new supermoon if we dare peer into its darkness and acknowledge what we find. “To make the best of this moon we must commit to an inner journey that may be scary. “We may have to face the fact that what we thought we wanted is but a pale reflection of who we truly are. “Insights arising at a new super moon can change a life if we let them. “If, however, we choose to ignore them, life will be tarnished by our refusal to honor what is unavoidably true. “Action is less of an issue at a super new moon, but the inner journey is vital if we want to recalibrate desire to better reflect our core essence. “This is a time of insight and understanding, of penetrating our desire nature to better perceive what motivates the choices we make. “Responding is for another day. Here we sow the seeds of a new way of living, planted in the sacred ground of our being and watered with awareness. “We are not forever bound by desires which keep us running exhausted on the treadmill of craving. Nor are we beholden to our ego’s demand for gratification at every turn. “We can intuitively feel there is a path of growth and movement in our field; we almost surprise ourselves with our willingness to let go (unless we’re strangling in resistance). “With Saturn retrograde now, we may be considering our actions internally, feeling our psyches lurching or flowing towards change. The inner reality precedes the outer reality. “On the other hand, Mars is zipping through Gemini loving the speed and wide field he can cover. Mars (the gas) is hugely challenging Saturn (the brakes) just after New Moon until end of the month. “This represents a downright irritating state of affairs and may tax your patience, and leave you feeling isolated and inadequate and hard to take decisive action. “The Sun and Moon have a stressful and difficult relationship to Pluto (and Juno ruler of committed relationship). “We can anticipate ongoing intensity and struggle and the emergence and disintegration of whatever keeps us out of our empowerment and connection to our rightful path. “Powerful internal demons are being wrestled with and we’ve never been better equipped or more skillful in bringing these parts of ourselves to light. “When the Sun and Moon together tweak Pluto, the collective unconscious is stimulated and acted out in the public eye for all to see, as well as personally with each one doing the work to move the whole closer to awakening. “Vow to acknowledge your resistances, your secrecy, your hesitancies to appear vulnerable, and where you feel disempowered. “Your relationships will act as a magic mirror reflecting you back to yourself. “Own what you see and hear. The energy is subtle and yet palpable to those with alignment to the passion play of our collective drama. “The New Moon is exactly conjunct asteroid Medusa, known for having such a terrifying demeanor that she turned onlookers to stone. “The Moon is also sesquiquadrate Pluto which could send us on obsessive tangents, as well as trigger overly fearful reactions. “This Moon feels like one of those moments when you have an idea that feels so big you just wanted to force it back down into your unconscious again. “What was unconscious and unspoken now has a name and potential and we can’t shove it back where it come from. “This lunation also talks about the power of knowing... Knowing on an inner level is also power. “If you know your fear then you can work with it. If you know what you want, you can go for it. The right information can release you from stress, point you on the correct path. “The Moon is semi-square to Pallas and Venus who are conjunct in Aries. It’s about staying aware of how we use the information we have and how we talk to each other. “Sometimes it’s right and necessary to hold back on what we say for the sake of being polite or for the sake of negotiations. The problem with Gemini is that it always wants to have the last word but sometimes harmony (Venus) means holding our tongues! “At other times, harmony comes from being direct and to the point. Venus has just perfected a square to Pluto and is still opposing Jupiter. “Diplomatic negotiations at this time aren’t necessarily easy but there is still potential to work out our differences. “Mercury, the ruler of this lunation is in a sweet sextile to spiritual Neptune. As is often the story, many of the issues that can tangle us mentally can be overcome by listening to our intuition. “If you’re struggling to find clarity, clear your mind through meditation, spiritual practice, art or music. “GEMINI 4: An island just visible off the coast. “When the future is alive, all of its many dimensions flourish in a world away from the commonly mapped out standard territory. “The inward twin is given free rein to picture and dream into and even open the space toward what can be and shall be in more vibrant worlds to come. “The outward twin carries on as ever in the accustomed role of maintaining the status quo. As a Gemini, I thank you from my deepest heart. It is a transformative time, with emerging truths and acknowledgments. Painful, but unshackling and aided by these insights immeasurably. I am grateful to have read them, thank you. Gratitude for sharing, as I wake, remembering with such clarity! ❤️ so wonderful, thank you. Beautiful, preparing myself for this new moon. Thank you. My favorite thought of this post…thank you for the vision, Ajeet! Always so insightful, and helps me understand myself better. I feel so validated when I know that my inner struggles just so happen to align with these astrological insights. Thank you! Wisdom within the lines. I’m grateful for the insights given. So glad when the science and magick of events become so beautifully true. Self reflection, acknowledging my stuff and listen internally has allowed me to develop better insights thus becoming a better person. Thank you for giving me additional insights to reflect upon. Blessings! What a wild internal ride this has been. Thank you so much for this! Every quote resonated with me in such an intense way when reading this post! Thank you so much for sharing! I can definitely say that the lessons the Moon has to teach, though intense, are so worth allowing ourselves to learn in the end! Thank you for sharing! Spot on. Thank you so much for these insights, it was exactly what I needed to hear. How incredibly accurate and insightful and affirming! Thank you so much.